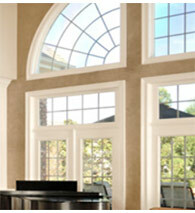 The horizontal slider is one of Modern Window’s most popular types of windows. Featuring a parallel sash system that allows two sashes to slide independently of each other on a brass-wheeled track, the horizontal slider is well known for both its ease of use and the unrivaled ventilation it brings to the home. Whether you need the 2-Lite sliders with two sections or the 3-Lite option with its single stationary panel and two sliding panels, the fully welded sash of the horizontal slider offers unrivaled drainage capability, security locks, and more. Bay and bow windows are the perfect choice for homeowners looking to create some extra space within the home. 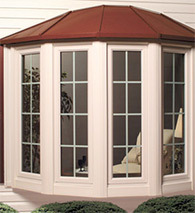 Projecting outwards from the home, our bay and bow choices are known for their quality craftsmanship. 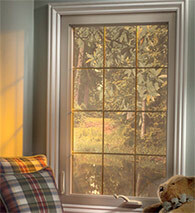 Available in casement, double hung, and fixed flanker varieties, bay and bow windows offer unparalleled views of the outside world, while giving you some extra space for plant life or a reading lounge. By measuring the dimensions of your home, we can install a window that not only fits your room but the overall theme of your home. When you think of the quintessential American home and its windows, you no doubt see double hung windows in your mind’s eye. 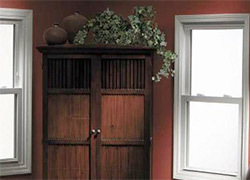 Combining aesthetics and functionality, our double hung options feature a sash at the top and one at the bottom, allowing you to easily slide and tilt each piece for improved ventilation and easy cleaning. If you’re worried about tilting these replacement windows, don’t be; our double hung windows feature a stainless steel spring system to assist you. 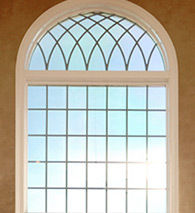 Each double hung window can be custom made, ensuring it fits any and all parts of your home. Eco-friendly homeowners will be glad to know that we offer optional Energy Star-rated glass for our double hung options. 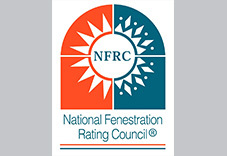 These are the most popular among window replacement options. Picture windows, as the name implies, are most often used as the centerpiece of a room, giving homeowners the ability to offer beautiful views of their yard or neighborhood to all of their guests. Unlike other types of windows, picture replacement windows are fixed, meaning they don’t open unless combined with a casement window. For the homeowner looking for a window that brings aesthetics, unrivaled energy efficiency, and a lot of light into the home, the completely customizable picture window, one of Modern Window’s specialities, is the perfect choice. Undoubtedly one of our most stylish options, casement windows are known among homeowners and experts as the pinnacle of design, style, and functionality. 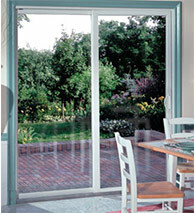 Using a crank system, casement windows open on hinge, much like a door, to the left or right, depending on your space. 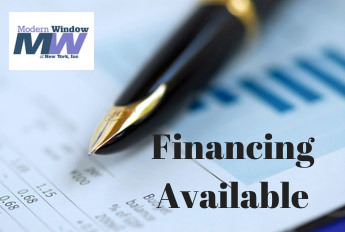 Offering security, these replacement window are energy saving, beauty of form, and function all in one, our experts are ready to fill your casement windows needs, whether you’re looking for single, double, or even triple casement options. Combining the functionality of an awning with the style of casement replacement windows, awning and hopper windows function similarly to their casement cousins. Instead of opening outward, however, awning and hopper options open to the top and bottom. 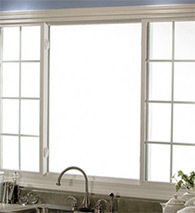 Awning windows, like their namesake, function to keep rain from coming through your windows, while simultaneously allowing you to take advantage of that wonderful WNY crossbreeze. Hopper windows function much like awning versions, but whereas the awning windows have a lockable hinge at the top of the window, hoppers open from the top and are hinged at the bottom. For the homeowner who has always dreamt of stepping out of the master bedroom or kitchen onto a sunlit deck, Modern Windows offers custom sliding patio doors. With the slightest press of your hand, our patio doors move almost silently out of your way. Built to be secure with thick, durable glass, you can use our doors in high traffic areas and be confident that beauty doesn’t mean sacrificing the safety of your home. If you don’t see something you like among our list of more standard windows, don’t fret; Modern Windows prides itself on the custom design of specialized replacement windows for all its customers’ needs. Circles, trapezoids, triangles: no matter how seemingly strange your needs, we can fill them — you only have to call. See something you’d like more information about? 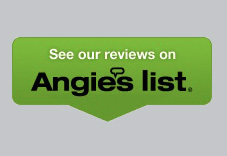 Have questions about replacement windows? 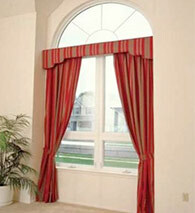 Call Modern Window today at (716) 873-8800 or (800) 884-5846.